› Zurich in 48 hours! You’re in town for only two days? Too short, of course! But here is our Zurich-in-48-hours suggestion. 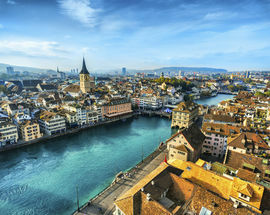 On your first day, start with a stroll through the old town, an absolute must for every Zurich visitor. 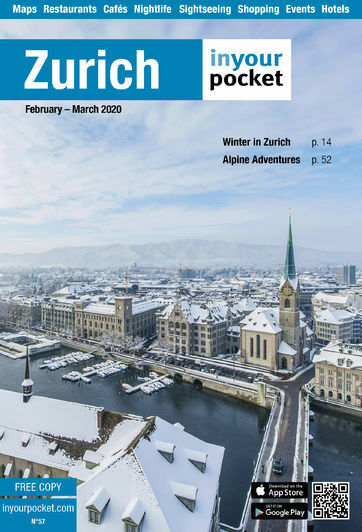 The one-hour stroll in our free printed guidebook for instance will take you to all the main sights like the mediaeval Lindenhof Square as well as the churches St. Peter, Grossmünster and Fraumünster. 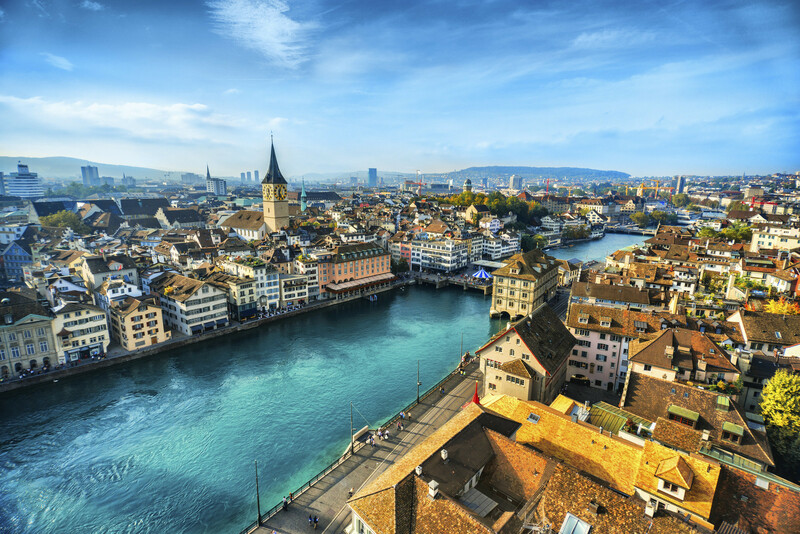 But before you set off, consider buying a Zürich Card, which includes all public transport as well as free entry to many attractions (you can buy it here in advance). 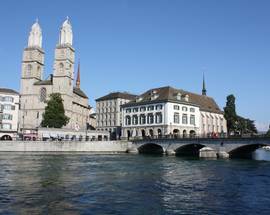 On a sunny day, climb up the the tower of Grossmünster church and enjoy the view over the city. 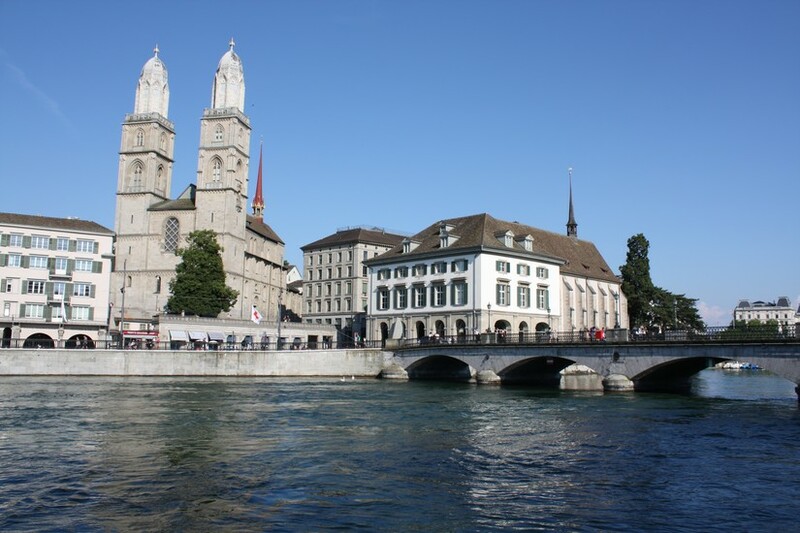 After the stroll, walk over to Paradeplatz, for a coffee break at café Sprüngli, Zurich’s most famous confectioner. Don’t forget to try their trademark luxemburgerlis, macaroons in all kinds of flavours. Thus fortified, you’re ready for some action before lunch: take to the lake. From Bellevue walk along the lakeside until you reach the park Chinawiese and maybe drop into the Chinagarten for an unexpected glimpse of Chinese culture. 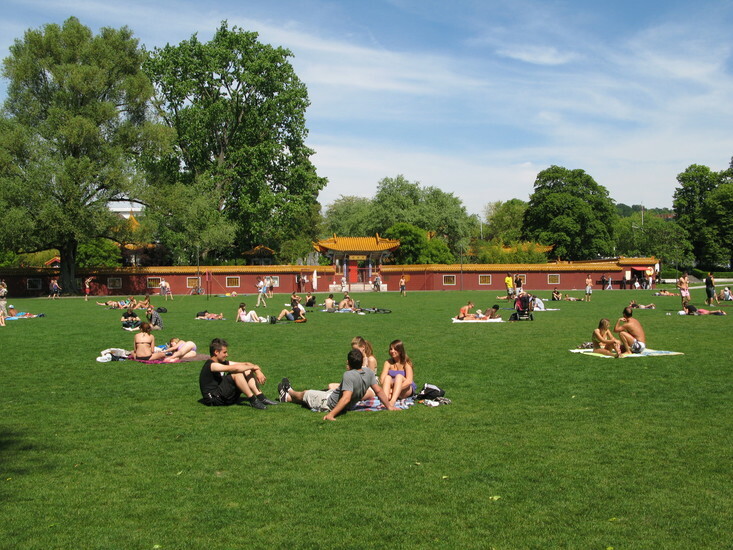 To get back to Bellevue, take the ship (ship stop Casino to Bürkliplatz). There it’s time for a Zurich-style lunch: have the city’s most famous bratwurst (veal sausage) at Sternen Grill. Now how about some culture? The Kunsthaus with its excellent collection of modern art is a good choice. Feeling excited? Your only dinner in town is coming up! For hearty Swiss fare like zürcher geschnetzeltes in a down-to-earth atmosphere, try Rheinfelder Bierhalle or Federal. If the cheese specialites fondue or raclette are what you’re after, try Fribourger Fonduestübli or Le Dézaley - or simply take a few minutes to read through our restaurant chapter and choose something that suits your taste. 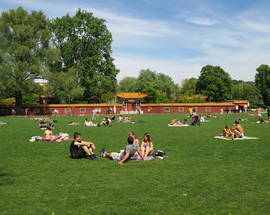 For an afterdinner drink, move over to the vibrant Langstrasse area with its countless bars: La Catrina or Central bar. You prefer more class? Try Widder bar with its extensive spirits library. On your second day make sure you get a good breakfast, because now you’ll have to climb a mountain. Or at least ride up it. Take the S10 train from the main station to Uetliberg, Zurich’s own little mountain. Up on top, walk to the peak (10 minutes) and climb the lookout tower for an incredible view towards the Alps and the city. You can get back the same way or hike down to a halfway train stop - or let your feet take you all the way down. In the afternoon a visit of Giacometti’s murals is on the schedule. They are something like Zurich’s secret main sight, located right in the entrance hall of the police headquarters. After taking in their warm colours, you might be ready for a small shopping tour on renowned Bahnhofstrasse. Alternatively relax on a bench in the nearby old botanical garden - and invent an excuse for your boss, so you can stay another day.